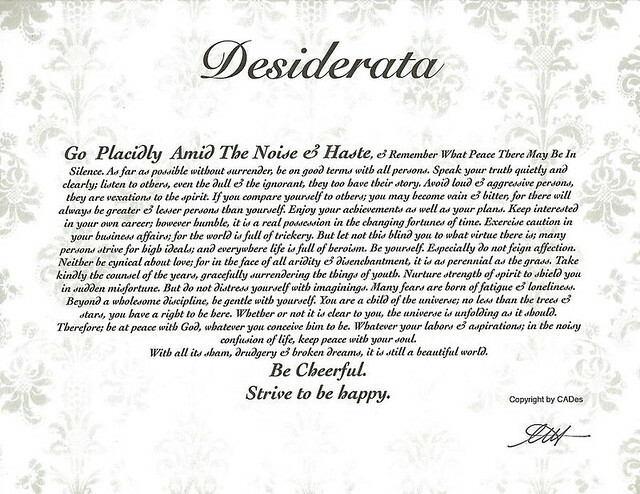 Desiderata is one of my favourite poems. It's more like a piece of life advice than a poem, but it's beautiful none the less. I thought I'd post it as it's been a long and tiring week so far for me, and hopefully this can inspire you if you've had a bad week so far too!